240, 000 miles and still runs pretty good and I have only used full synthetic. The oil drips a little when I change the oil, it consumes a little more then average the gas, the brakes work fine but they may need a tune up. Also the ball between the tires needs to be oiled. There's not that much space. It only fits 3 people but if they are skinny enough I could fit 4 people. Besides that it has a lot of power. The windshield water doesn't work on it so I cannot clean the windows when I need it cleaned. 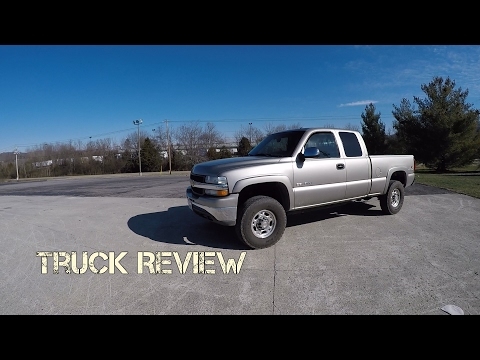 It is very reliable, it runs well and gets good gas mileage for a truck. It is four wheel drive and it handles very well in the snow as well as in mud. It is an extended cab with the small doors with a very comfortable bench seat and storage underneath. It is a 6.5 foot bed with a hard tonneau cover. It has a towing package that I have used with a uhaul trailer. Minor complaint is the two small doors have rusted on the bottom, no rust anywhere else. Diesel trucks are always better. My truck is very roomy, dependable, has plenty of power for pulling a trailer with a full load. As a new mother it has plenty of space for a car seat and still room for passengers. The seats are very comfortable and it has loads of leg room. The center console has plenty of room for storage, behind the back seat there is room for storage, and the glove box is a good size.